As someone who grew up a few miles away from PJ Harvey (in fact my old schoolmate Max Griffiths was in a band with her but chucked her out on account of her ‘not being good enough’ – Max, where are you now?) and, until last year, never having owned one of her records, I think it is safe to say that I find it hard to appreciate music that has been made on my doorstep. I suppose I have always felt that something made nearby is only known to me because it’s local, rather than good, and therefore I have tended to be suspicious of its worth. However, The English Riviera has bucked this trend and, seeing as it is a concept album about Torbay, its charming reverence towards my local area is now working to its advantage. I am incredibly proud of soggy old South Devon and feel privileged to live here…and listening to The English Riviera you get the impression that Joseph Mount (Metronomy in all but name) feels the same way. I was intending on playing The English Riviera at Record Club at some point anyway – I knew that Nick and Rob both had pretty ‘meh’ (as I believe we say these days) reactions to it when they had given it a casual listen last year but was confident that the DRC treatment would help them appreciate its lush sound and nigh-on perfect pop melodies – so when Nick suggested the ‘Home’ theme it didn’t take much thought for me to decide on my choice. I can not think of any other album I own that has such a defined sense of place and when that place is your doorstep and your doorstep is somewhere you’re very fond of, it’s hard not to fall in love. The English Riviera is, for me, quite a different sort of album from many of my recent offerings. This is not one of those records where the songs have to co-exist to make sense. Although there is an underlying theme on The English Riviera, these are pop gems that more than hold their own in isolation. The English Riviera is the album I hoped Peter Bjorn and John’s ‘Writer’s Block’ might have been. Having heard Young Folks before I bought it, I was hoping for an album crammed with similarly infectious hooks and sweet melodies. But, to be frank, Young Folks towers over the rest of the album, the other offerings occasionally veering perilously close to atrocious (Poor Cow, Amsterdam, Let’s Call It Off). Metronomy’s latest album, however, keeps the bar impressively high throughout and whilst the singles, The Look, The Bay and Everything Goes My Way (a bit like a cross between Don’t You Want Me and Young Folks with the whistling replaced with cooing) are probably the most immediate songs on the album, I enjoy all the tracks just as much now that I have got to know the album – in fact I might even venture to say that these days I like the latter half of side two even more than the beginning of side one! Although I am always a little wary of lauding a record that I haven’t possessed for long, I am pretty confident that long after the newness of The English Riviera has worn off, the warm glow I get from its affectionate take on Devonian seaside life will continue to burn. Nick listened: I downloaded The English Riviera out of curiosity but hadn’t really given it more than a cursory listen before the other night – I quite liked the singles but hadn’t been struck by anything else, and to be honest I’m not sure I’d actually sat down and played it start to finish. Forced into doing that by DRC, I was pleasantly surprised – there was more subtlety and nuance, and less ‘ego song’, than I’d suspected / expected: often the songs seemed to get the tune out of the way relatively quickly, leaving space for a groove or instrumental, achieving a nice balance of tunes-to-music, much like the last Antlers record. Also like that record, none of the songs here screamed I-AM-A-SONG at the listener; rather the tunes and melodies unfurled themselves slowly, suggesting they’ll reward attention and repeated exposure. Very pleasantly surprised. 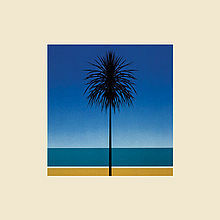 Rob listened: I gave ‘The English Riviera’ an extremely cursory listen via Spotify shortly after it had been released. I was at work at the time, didn’t concentrate and didn’t hear anything to make me want to listen again. I suspect I have a slight repulsion for very local music, the opposite to Tom’s attraction to this. It’s a stupid attitude, I know. Regardless, I find music from across the Atlantic endlessly exotic, even when it might be crass and dumb when understood in cultural context. The more you understand the musical idiom, the easier it is for a record to hit a grating note, for an artist to choose a clanging word. Records by English artists have to be near perfect for me to love them. That’s not fair and I’m sure I’m the loser in that equation. Anyway… DRC exists for us to listen properly to records we haven’t given attention to before. This one, on second listen, was great. It reminded me of Wild Beasts ‘Smother’ (a near perfect English record) in its restraint and economy, which make it all the more delicate and delicious. Packed with understated tunes too. It’s a growing favourite in our house already.